Grace Bay Beach is officially the world’s top beach. The powdery white sand, combined with the impossibly clear water and turquoise sky makes Grace Bay Beach one of the most romantic places in the world. The Turks and Caicos has developed a quiet reputation as an intimate place to plan a truly memorable anniversary. However, despite winning awards and international recognition, Grace Bay Beach and the Turks and Caicos lie off the beaten track. There are no crowds of tourists on the beach. The islands and cays of Turks and Caicos remain unspoiled and largely undeveloped. The main island of Providenciales, aka “Provo”, is ruled by a relaxed Caribbean vibe and plenty of local personality. For many, the swaying palm trees, the twinkling stars at night, and the crashing waves of the incoming tide create the perfect mood. It’s the perfect moment to rekindle the romance you have always felt for each other. There are many luxury resorts perfect for planning a romantic anniversary or couples vacation. Some suitable choices to consider include the Palms, Seven Stars, Wymara, Grace Bay Club, Beach House All Inclusive, Somerset on Grace Bay, Shore Club, West Bay Club and Point Grace Resort, all located on the island of Providenciales. Another exclusive and romantic is COMO by Parrot Cay, located on its very own private island. COMO by Parrot Cay offers the absolute seclusion of a remote, private Caribbean island. Parrot Cay is so exclusive, that many celebrities have homes here. 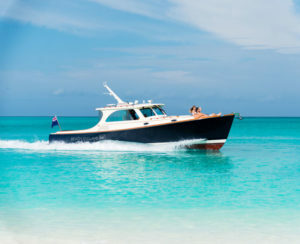 Rates include a 30 minute ferry from the main island that you’ll fly in to (Providenciales). When you arrive you will receive some well-deserved pampering at an outdoor spa and complete wellness center (that’s massive!). Or, simply explore the quiet, beautiful private white-sand beach. Your romantic stay at Parrot Cay resort will include morning yoga on the beach, a scrumptious breakfast (with a very extensive menu choice including an entire healthy menu area). Reconnect, rejuvenate and renew your relationship with your beloved. Then head back to Provo (pictured above is the beachfront area of Palms Turks and Caicos) and enjoy Grace Bay Beach as well as the many wonderful dining options Providenciales has become known for. Several oceanfront luxury resorts feature adults-only accommodations. Beach House All Inclusive, and Grace Bay Club are two options. Our group has literally booked thousands of Turks and Caicos vacation packages for couples, since 2008, so we have a really good sense of what works! We’ve assembled some of the things that couples really enjoy doing on our island (horseback riding through the water, car rental for a few days to go exploring, eco tours, etc), combined it with suitable resorts, discounted the price, and presto! Contact us to create a perfect custom package that’s right for you. Nothing is more romantic than a couples massage, especially when it’s at the award-winning Palms Turks and Caicos Spa. Relax, and sit with a cup of mint tea by the bubbling pond and enjoy the breezes while you await your treatment, and then enjoy the outdoor shower, jacuzzi and sauna – phew! This is what vacations are made of. Take a romantic walk down the beach at sunset, maybe consider having a short, casual and fun photo session by the creative and talented team at Brilliant Studios. Definitely plan for a few evenings of relaxing at some of the beautiful locations on Grace Bay Beach with a sunset drink. Some of our favorite romantic spots are the Grace Bay Club Infinity Bar as well as The Deck at Seven Stars (both have lovely fire pits, exciting cocktail menus, comfy lounging furniture, and occasional entertainment). Bay Bistro has lovely views as well. This is the ambiance you’d want for a relaxing and memorable evening. 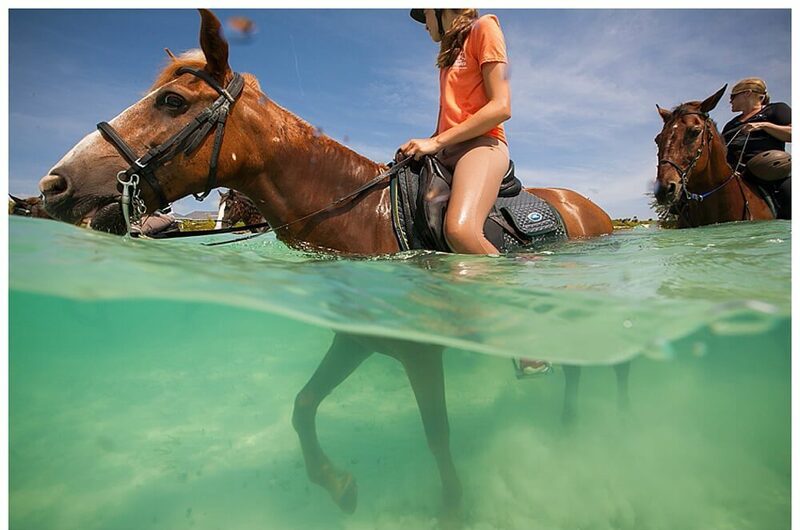 Take a beach horse ride through the beautiful surf with Provo Ponies. This is one of our most popular activities for couples coming on an anniversary or honeymoon – just imagine the pictures on your facebook and Instagram feed! Explore the huge limestone cave system of Middle Caicos island and see: spectacular seascapes of Mudjin Harbour (pictured above), Crossing Point bluffs along a hiking trail, caves, and where hundreds of years ago the Taino Indians took shelter when storms hit. These are the types of magical and memorable experiences you’d want to enjoy when you come to a place as special as this. Colorful coral, brightly colored schools of fish, friendly green morays, and more will create truly unique memories. You’ll both return home relaxed, rejuvenated, revived and with a whole new perspective on the strength of your marriage. You will also have cherished memories that will last a lifetime.